Prayer is not a practice or a ritual. It is a place. A secret place in the Spirit. A place of divine encounters with our heavenly Father where we express our love for Him and enter the dimensions of His glory and power. Where we welcome His presence, receive His revelation and guidance for our life, and are empowered to serve His purposes on earth while experiencing the outpouring of His grace through miracles, healings, deliverances, and salvations. With a scriptural foundation, the conviction of personal experience, and the evidence of many testimonies, Guillermo Maldonado passionately reveals how to enter this place in the Spirit so we, as the body of Christ, can become "a house of prayer." Discover the joy of two-way communication with the Father. Learn not only to hear His voice but to listen and act on what He is saying to you. See how to build momentum in your prayer life, creating a spiritual atmosphere in which God moves powerfully on behalf of His people. Discover essential keys for breakthrough--and how to have all your prayers answered according to God's will and Word. There has never been a more vital time to find our place in prayer. We are in a period of increased opposition from the enemy as we draw closer to the day of Christ's return. This requires us to attain a higher level of spiritual power and authority, which can only come through prayer that ushers us into God's presence. Nothing else will prepare us to meet the challenges that are coming our way. Nothing else will prepare us for the second coming of Christ. Now is the time to be spiritually vigilant! Now is the time to watch and pray! 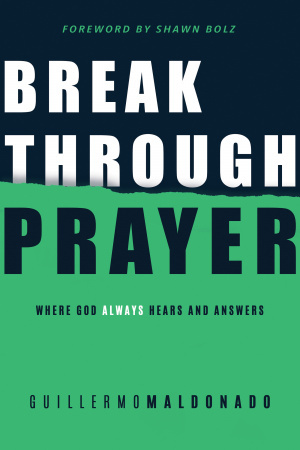 Breakthrough Prayer by Guillermo Maldonado was published by Whitaker House in October 2018 and is our 37259th best seller. 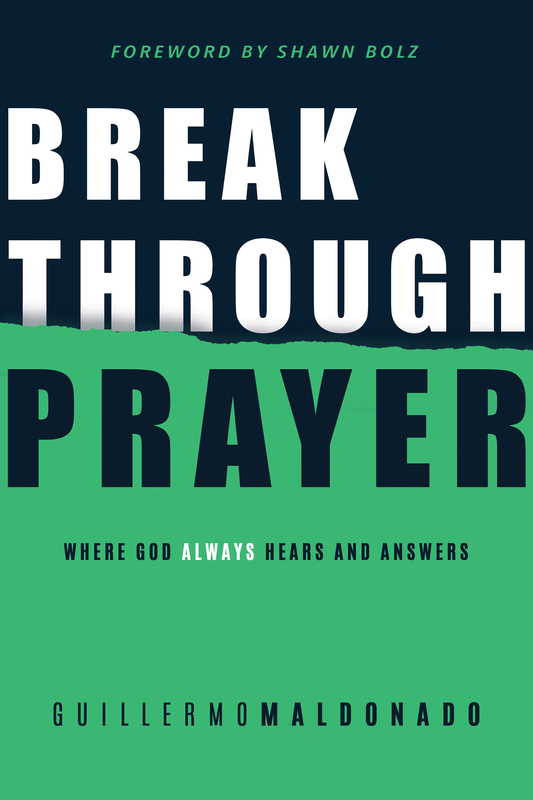 The ISBN for Breakthrough Prayer is 9781641231619. Be the first to review Breakthrough Prayer! Got a question? No problem! Just click here to ask us about Breakthrough Prayer.